At their September board meeting the MCCL Board of Directors approved, in concept, the idea of paying teachers to complete their Habits of Mind curriculum work, started in the Spring 2015. With the exception of Oct. 14th, this will allow teachers to do this work outside of regular school hours. 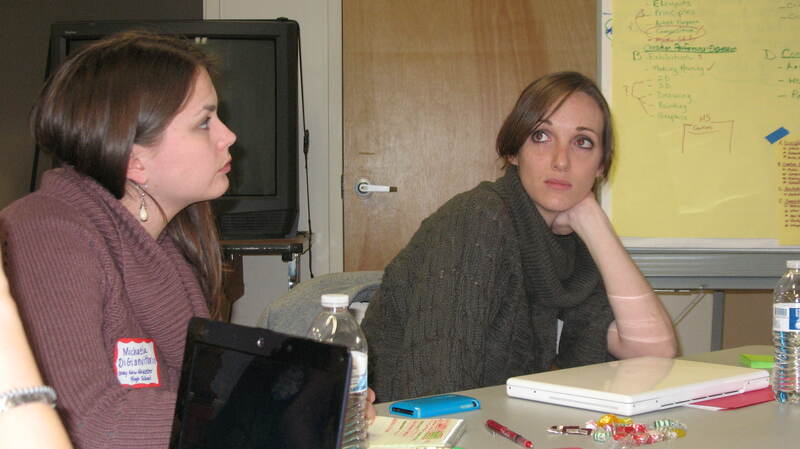 Since October of 2010 teachers across cohort schools have been building and revising a proficiency-based curriculum. In the winter of 2015, 30 teachers revised our science curriculum. This Fall 2015 we have plans to revise our English Language Arts, Math & Social Studies Curricula. Check out our “curriculum” tab to see our revision schedule. 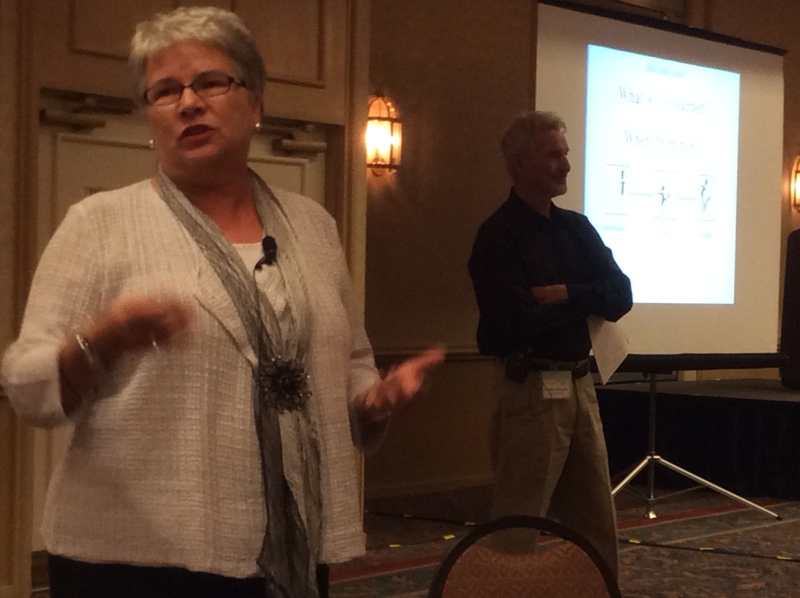 MCL Summit 2014 is off to a strong start in Portland, ME, with 225 educators from 11 states, including Pennsylvania, South Dakota, Arkansas, Vermont, California, and Maine. Three days of collaboration with dedicated educators changing school structures to help us meet learners where they are in their learning, in exciting and innovative ways. Location: T & B Celebrations Center, Waterville, Me. 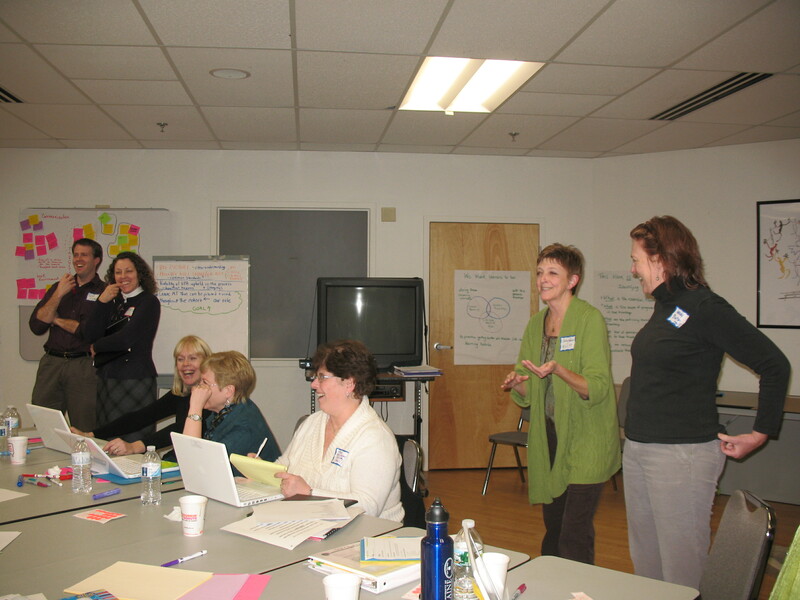 Times: 8:30 a.m. to 3:30 p.m.
Hi Folks, hot off the press… Western Maine Education Collaborative (WMEC) Newsletter Volume 25. For more information, contact Linda Laughlin. Click here to download the fall 2012 edition of the Western Maine Education Collaborative newsletter. “Classroom after classroom, school after school, district after district – an incredibly powerful commitment to student-centered proficiency-based instruction has taken root in Maine. What you see on the videos is what you see in the classrooms. What’s more, it is incredibly consistent classroom after classroom. •	High level of transparency about learning targets and rubrics between students and teachers. •	Customized learning with students working at their own pace within a band of what it means to be “teacher-paced” with choices about how they will pursue their learning and build evidence of their learning. •	Teachers organizing themselves to enable students to get what they need, working at their own achievement levels so that they can experience success. 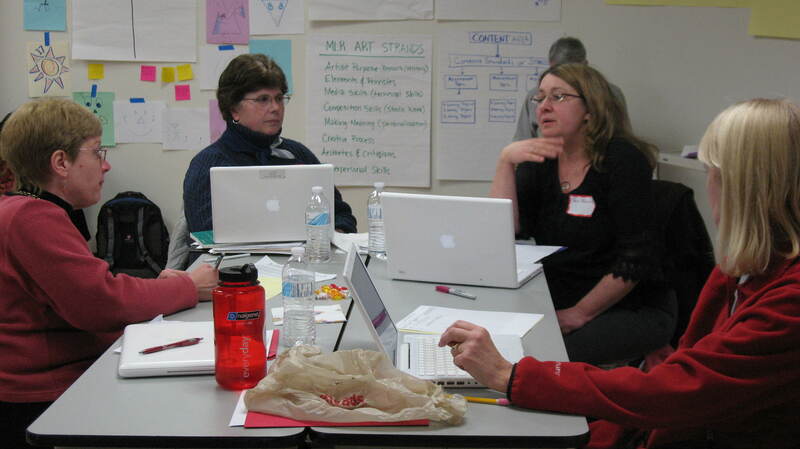 •	Teacher collaboration and professional development driven by proficiency. The work will continue in February and I will keep you posted on its progress. Sanford is new to the cohort, so this was the first meeting for Matt Doiron and I. I was glad to see people at this meeting who are also working on the Maine Arts Assessment Initiative, as I am hopeful that the cohort’s work will dovetail with the Initiative’s work, as well as the work being done currently on the national standards. Some concerns raised at this meeting were, “Is this another passing fad?” and “Are we re-inventing the wheel?” I think these are valid concerns and am hopeful that these will be addressed as we continue to work on developing shared, consistent strands and measurement topics. The general sense of the people at this meeting was that the Visual and Performing Arts have good Maine Learning Results and we hope to maintain the integrity of that document going forward. Every time I get together with arts educators in this state I am completely impressed with their intelligence and commitment to their craft. As a discipline that has always understood meeting and demonstrating standards at a high level, we are the perfect group to model the cohort’s goals of student-centered, performance based learning. Various members of the 11 cohort schools gathered in Topsham to begin the shift towards a standards-based learning plan. It was a harder two days then I expected with less accomplished than expected. The representatives from the different schools really are at different levels in the process. Some of us needed to learn the language of this version of standards-based curriculum. Others were already working with a version of those concepts this year. What I like about the conversations that I’ve been involved in, both in my school and at the cohort meeting, is the concept of the learner at the center of the process. I want to believe that there’s a method to create or encourage students to become active, enthusiastic managers of there own education. As a veteran teacher and a lifelong skeptic, I am still yearning for more evidence that this is truly possible. I want to see a school where it is in process with solid evidence that it is working. We heard that transparency in the curriculum gives the student clear goals and, thus, a clear path to success or as we say in mass customized learning speak, proficiency. Students will know what we, as teachers, want them to learn. We will act as facilitators pointing out ways to master those concepts or techniques. Students can then seek, plan, and follow their own best path to achieving proficiency. I love that theoretical view of students and learning. But, again, as the veteran and skeptic, I believe that most, if not all of us, are now very clear about our reasons and goals for the lessons we present. I keep wondering, aloud and to myself, how assessing with a 1-4 scale instead of 0-100 scale, how calling it proficiency instead of whatever our current language is, and by rewording existing curriculum yet again will inspire this change. I hope that we learn more about places where this is in use and has concrete progress recorded. And, despite my skepticism, I’d be thrilled to see more inspired, successful, and enthusiastic students.